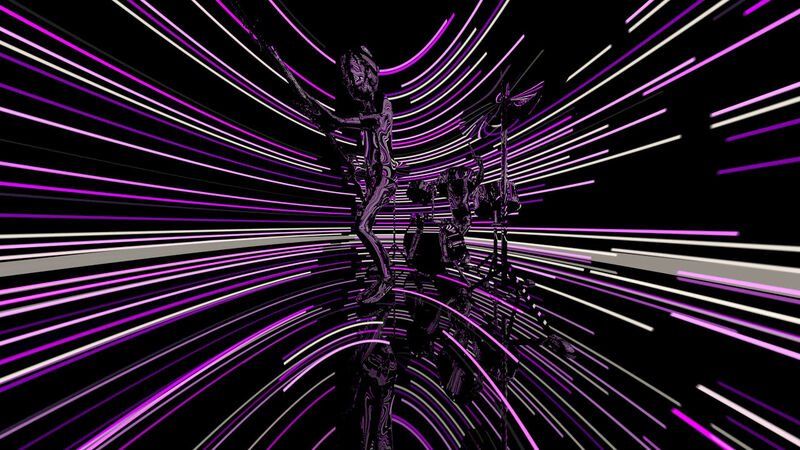 Light bends inside a gravity field. Does shape bend inside a gravity field in a similar response? What is shape ? The critical question to ask is: what happens to the brain shape after a brain concussion ? The answer is more difficult than it appears to be. First reference frame is inside the brain case, the very elastic nature of brain tissue capable of deforming. But what of other tissues, coherent tissue shapes, aren’t they involved too, since all shape sensing networks are inter-connected? What happens to the control of tensegrity of shape after a brain concussion? Is there such a thing as anti-tensegrity in terms of loss of shape stability, what I have termed tensegrity as Snelson floating compression/tension networks? Can we see shape change in lung tissue after a brain concussion? If an astronaut venturing into space begins to experience prolonged micro-gravity mimics a brain concussion event sensed first within the vestibular system, what shape changes inside the saccule/utricle might be altered ? Does the astronaut experience anti-tensegrity as a vestibular reaction within micro-gravity inside his brain shape, is this observational perspective appropriate to describe space flight mimicking a strong concussion ? The tiny orbs of dew cling onto the tension determined web. These linked suspensions cling within a field of balanced tension that is oriented with a gravity field. Notice how all of the reflections show a sun in reflection at the bottom right of each droplet? We recognize the up compared to the down. We recognize the shape of space as if we had imposed a coordinate system into the reference frame. Which forces the query: does Nature impose a necessary coordinate reference frame, how many dimensions should the observer create to describe the event? 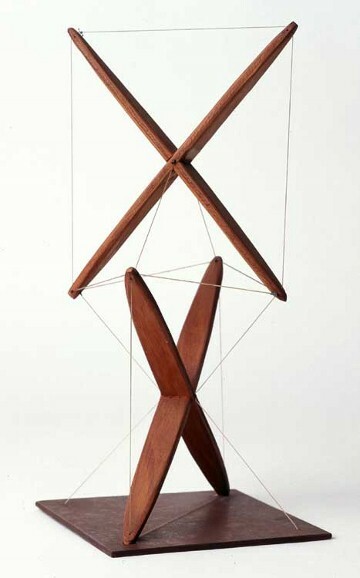 The concept of floating tension started in 1948 by Kenneth Snelson. 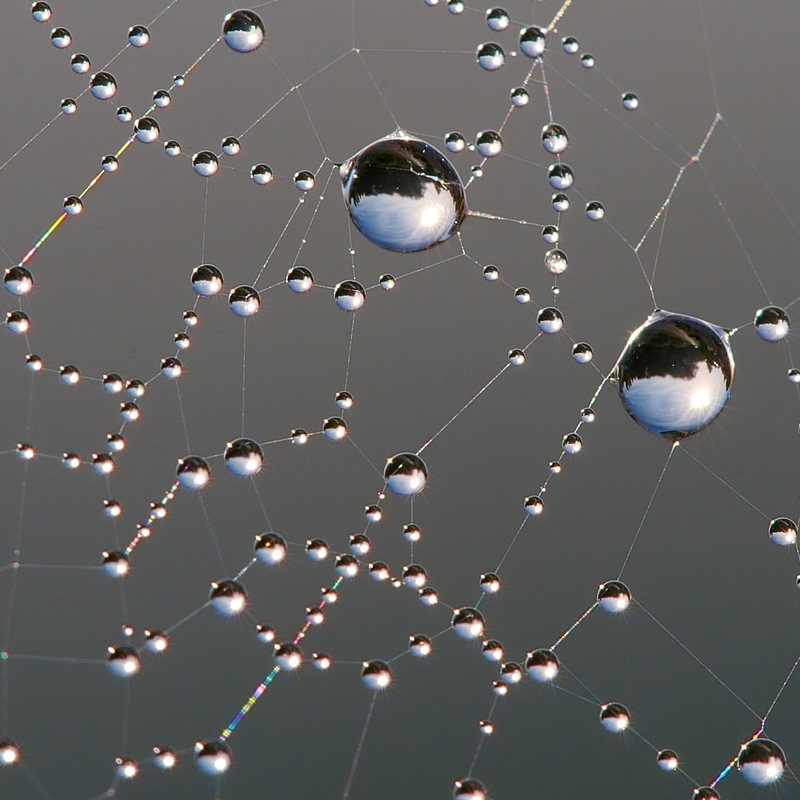 Despite Nature having utilized the design inside cells for over hundreds and hundreds of millions of years, as a spider web is a particular form of floating Snelson tension/compression balance. We are familiar to our bodies acting in motion, but do our cells need a reference template of coordinate space to function with ? Is it possible that a reference frame is constructed to be used as if a matrix space was necessary? How might you calibrate your X-Y-Z space with Nature’s space ? Perhaps gravity itself is the shape of relevance to determine function. 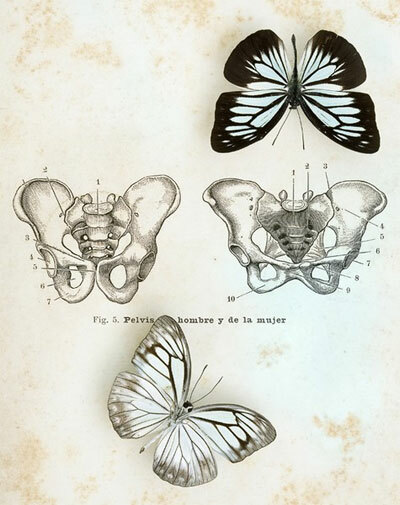 The relevance to shape is found throughout Nature, making the pelvis bone girdle comparable to the overall shape characteristics of a butterfly wing structure. One shape substance is flight capable, one shape is ground mobility functional. Both shapes are Snelson-like floating tension/compression designs that are suitable to solve two gravity based events for creating motion, for flight or walking over a surface. Snelson himself describes the elemental comparison of matching butterfly wings within the simple triangulation of pairs of triangles balanced in formation of function. Working much like a sling used by riggers for hoisting, triangles of type 1 are formed with two struts and two tendons. The two tension lines run from the end of one strut to the two ends of a second strut. Type 1 triangles always occur in pairs like butterfly wings. Triangles occurring in opposing pairs assures symmetry with a left and right version. The specific difference is that opposing struts can not be substituted with the cables. This is where anti-tensegrity begins to reveal itself as the structure deforms into lost stability throughout this substituted structure, the tension is lost, the shape is lost. So to begin to understand shape we have to explore some of the new language that mathematicians are employing to describe Snelson’s floating compression/tension in balance. The following is a mathematical model for figures related to the tensegrity icosahedron, which explains why the tensegrity icosahedron is a stable construction, albeit with infinitesimal mobility. Now imagine, this figure is built from struts of length 2l and tendons of length s connecting neighbouring endpoints. The relation tells us, that for there are two possible values for d: one is realized by pushing the struts together, the other by pulling them apart. 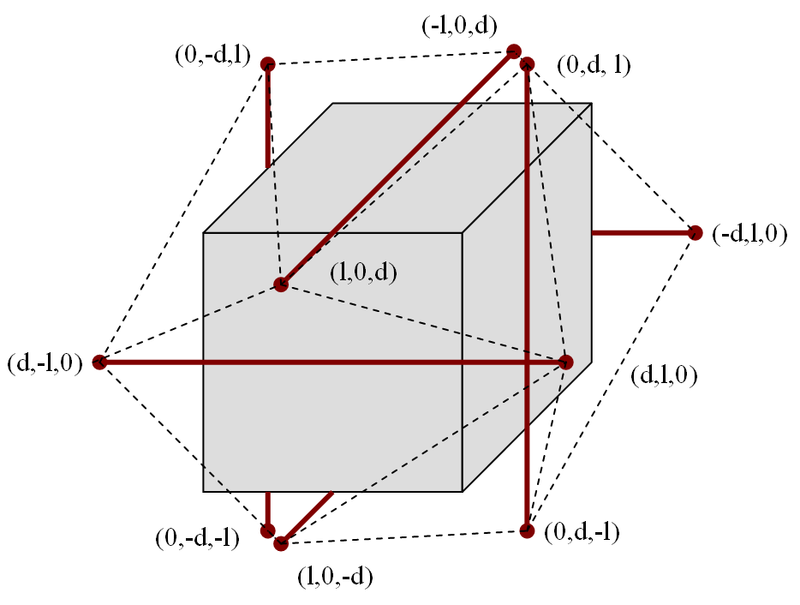 For example for the minimal figure (d=0) is a regular-octahedron and the maximal figure (d=l) is a quasi-regular cubeo-octa-hedron . When then s = 2d, so the convex hull of the maximal figure is a regular icosahedron. In the case the two extremes coincide, therefore the figure is the stable tensegrity icosahedron. 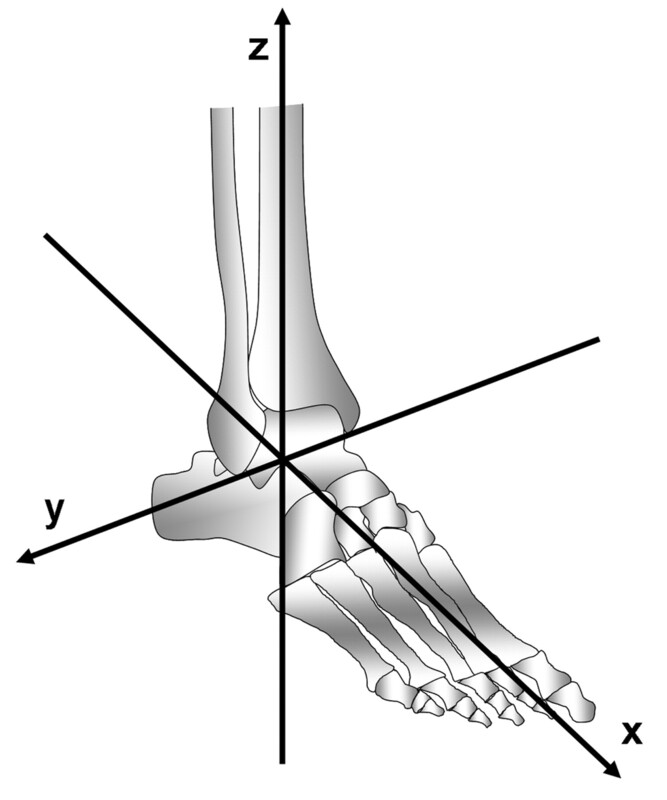 Since the tensegrity icosahedron represents an extremal point of the above relation, it has infinitesimal mobility: a small change in the length s of the tendon (e.g. by stretching the tendons) results in a much larger change of the distance 2d of the struts. Weaving and tensegrity share the same grounding principle of alternating helical directions; of left to right; of bypasses clockwise and counterclockwise. In these figures, the column on the left shows the primary weave cells. To their right are the equivalent basic tensegrity modules. By transposing each weave filament to become a strut (stick, tube or rod) the cells transform into arrays of two, three, four, etc. compression members. They retain their original form and helical direction. Individual tension lines (strings, wires or rope) are attached to the ends of the struts as shown so that each assembly comprises a closed system of tension and compression parts. Each tension line connects individually to the ends of two struts; they do not thread through like strings of beads. The lines are made taut so that they bind the struts, pressing on them as a continuous tension network. The forces introduced by the tightening is permanently stored in the structure, a state known as prestressing. 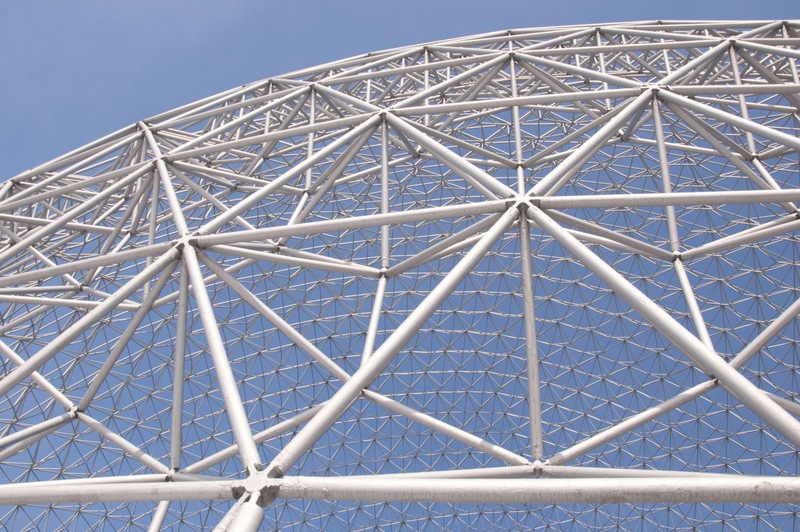 In tensegrity structures complete triangulation in the tension network is highly important for it decides whether the structure is firm or flaccid. 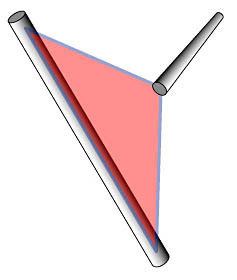 Only the cross with its two struts (and four tension members) and the three-way prism among these primitive figures have total triangulation. The square, the pentagon and the hexagon do not. They can be stabilized with additional lines but the supplemental lines necessarily will be selective in directions that will distort the form. Snelson has grasped the essence of shape topology becoming shape sensing within the structure. Although his shape sculptures appear static they are actually dynamic, they vibrate containing the minimum energy necessary to keep the shape stable. In the lingo of the mathematicians they describe this as: super stable. It is a state that maintains the form of shape not only in the plane but in the other dimensions of coordinate space. Snelson describes the tension envelope. In Montreal we are blessed with just such an architectural tension envelope to contemplate the essence of a floating tension envelope. We are so used to the idea of an anchored structure, stability coming at the price of the weight being placed onto the Earth support so that the structure does not fall down. Yet tensegrity is not made for the necessity of the presence of gravity since only tensegrity structures can be built in space that are self-supporting. Snelson’s floating compression/tension are external in design to life on Earth, they will also originate on other planets since these structures are able to pack the most into the least volume, which appears to be an imperative of considerable importance for Nature. Now that there are billions of other planets in the universe the likelihood of having self-sensing tensegrity structures on those planets is probably not only likely but favorable. So the characteristics of these tensegrity structures are varied yet specific. Tensegrity shape is in equilibrium, tensegrity is a super stable conformation involving the least amount of energy to maintain the positions of struts attached to cables, no stretching, no shrinking is allowed. The jump from structure to performance occurs as structures shape change which translates into the exchange of information, as a dispersal of tension. I will introduce the term: tethered information to describe this process. Donald Ingber has elucidated this biological concept in the following manner. As a marble rolls around a landscape the outcome of the resolving position of the marble determines the possibility of an outcome taking place. In other words the shape of the landscape determines the acquisition of learning behaviour in the dynamics of motion across a shaped surface. What is very important is the sequence of timing of one surface feature leading into another. Lets get right back to the beginning premise. What happens to an astronaut when he returns to Earth gravity? He has to learn to walk again as if he were a child, which is also the balance shift that a severe concussion can cause. Both the astronaut and the concussed person behave as if they are drunk swaying unstable to walk a straight line. The astronaut has the different opportunity to be rehabilitated upon his return in a given protocol of NASA, but the concussed person has no such protocol. They are on their own with no guidelines to recovery. Listen to the words of former astronaut Chris Hadfield in his latest book AN ASTRONAUT”S GUIDE TO LIFE ON EARTH. ” Back on Earth, though, gravity was suddenly pulling me down and the floor was holding me up , trapping my ear in what felt like a constant acceleration that, inexplicably, my eyes couldn’t perceive. It’s extremely nauseating, worse than the most sickening ride at the fair. My body reacted as though the symptoms were being caused by a neural poison, and urged me both to purge it and to lie down, so that I’d metabolize the poison more slowly. I took anti-nausea meds on and off for about 10 days after landing; sometimes I felt just fine, but other times, I looked and felt green. My stomach recovered faster than my sense of balance. At first walking was difficult, a drunk’s stagger, but as I re-adapted I got better at it (so long as I kept my eyes wide open). Still for at least the first week, I over-corrected, swinging wide on turns, bumping into things and tilting forward as though I was walking into gale-force winds. All of this meant it wasn’t safe to drive for a couple of weeks, which was fine with me, because I was profoundly, almost unbelievably, tired, like an invalid recovering from a debilitating illness. “ Sounds just like recovering from a bad concussion, doesn’t it? So how does a baby learn to walk, how does an astronaut learn to walk again, how does a concussed brain learn to walk from a shaped sensing Snelson floating tension/compression tensegrity reference frame of observation? Chris Hadfield had the advantage of NASA specialists, the ASCRs which stands for astronaut strength, conditioning and rehabilitation specialists to help get him back his strength, stamina and balance. But is there a sequence to learn to walk like how a baby progresses ? Babies learn to walk in the well dynamics of the attractor landscape. I will be citing from the excellent paper entitled A dynamical systems interpretation of epigenetic landscapes for infant motor development by Karl Newell, Yeou-Teh Liu and Gottfried Mayer-Kress in Infant Bevavior & Development 26 (2003) 449-472. “Infant motor development has often been considered in the context of Wadington’s 1957 metaphor as an epigentic landscape. ” Basically a means toward visualizing the dynamics of developmental growth and change within a biological context as a maturational process of motor acquisition development first laid down descriptively by Gesell in 1929. “Gesell viewed growth and development as a unitary process mediated by innate processes that are laid down by the genes. This position recognized the dynamic ‘field like’ processes that constrain physio-chemical systems, where ‘field like’ processes refers to those neuromuscular and biochemical processes that operate within the body’s soft tissue as a result of concentration differences, gradient, asymmetries. Gesell’s principles of motor development were based to some degree on what we would know today as ‘dynamical-like’ system properties.’ Or perhaps as dynamic tension/compression fluxing within a hierarchical tensegrity based series of interconnected networks. Here is the Snelson 1948 module shape of floating tension/compression. If you replace the cables with the struts you lose the shape stability as this shape deforms bending like a couple of attached hinges. What this reveals to us that inside the floating shape is a tension net of balanced stress equal throughout the entire configuration confirming its dynamic stability as continuous tension balanced within the struts that don’t bend. The key term is stability and equilibrium since the least amount of energy is actually used to maintain the stability of the tensed state. The entire structure is in equilibrium. 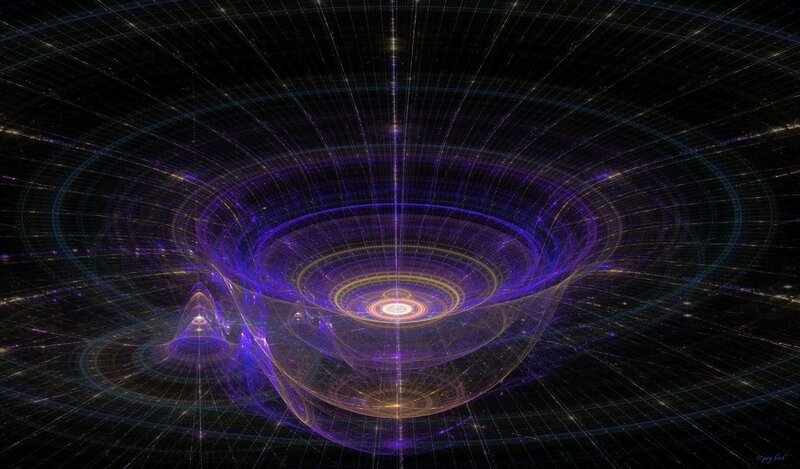 When Chris Hadfield returned to gravity the entire equilibrium within all his systems was no longer present. His tensegrity web was destabilized performing anti-tensegrity which was the adapted shape positions his body learned in micro-gravity, his body developed a new equilibrium at the expense of his gravity less stability to float around the insides of the International Space Station. So how does a baby really learn to walk? 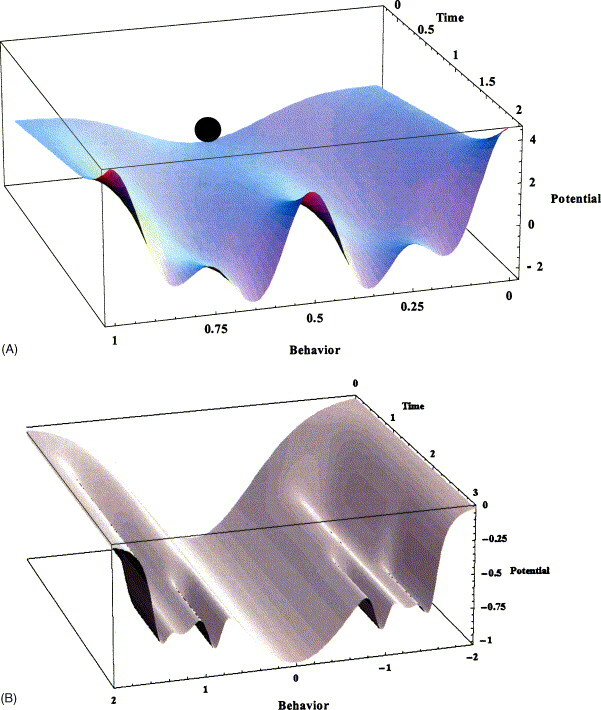 The baby progresses from instability to stability a dynamic state change that implicitly captures preserving the first state which is lying down as the point of departure which is stable to exploring new attractive stable states at points in time. The emergence is a linked sequence from lying down into sitting then creeping becoming crawling proceeding into standing then finally walking, all elements a linked development of prone progression as an infant learns to walk. So is this what the ASCRs accomplished with the rehabilitation of Chris Hadfield relearning how to walk getting comfortable to be able to drive again? Yes, I believe so. But can we consider mimicking a babies developmental progression by learning stability learning equilibrium following a brain concussion, a vestibular gravity affected injury similar to an astronauts experience when returning from a five month space flight. Lets stand back at this juncture to make some comments. What Gesell appears to have intuitively grasped is our version of a built-in App that primes the baby brain to learn to explore within a coordinate dominated system within axes of direction. Do you remember my mentioning of Donald Ingber ? I didn’t show one of his landscape diagrams until I could develop the idea of the shape of a landscape toward determining actual cell fates. The reader may be confused at the point I am trying to emphasize. What does landscape motion have to do with a baby learning to crawl ? Remember also the descriptions from astronaut Hadfield from his first day back into gravity? Let’s examine things from a landscape inner brain, vestibular recovery. Hadfield started his recovery of motion by lying down, that’s all he wanted to do at first to stay horizontal. Moving his head or body was worse than taking amusement rides he said. Slowly he merged his behaviour back nurturing his motion acting like a baby getting used first to a surface. Then trying to get smooth on that surface until finally the coordination with arms and legs merged so that he could walk, getting into the vertical. Hadfield described as if he was standing against a strong wind, his tensegrity sensing of gravity within a coordinate system had been shut down from his lengthy stay in microgravity aboard the International Space Station. Hadfield had the luxury with the help of his ASCRs to relearn to walk like a baby except they didn’t follow the sequence the way a baby follows the sequence. NASA has somehow figured out that it takes serious rehabilitation to get an astronaut to learn to walk again in gravity that takes a few weeks. I’m not convinced they, in NASA understand Gesell’s baby sequence to mimick the motor program of the learning landscape of space-time continuum, the shape App that a baby instinctively follows as the baby learns to walk. 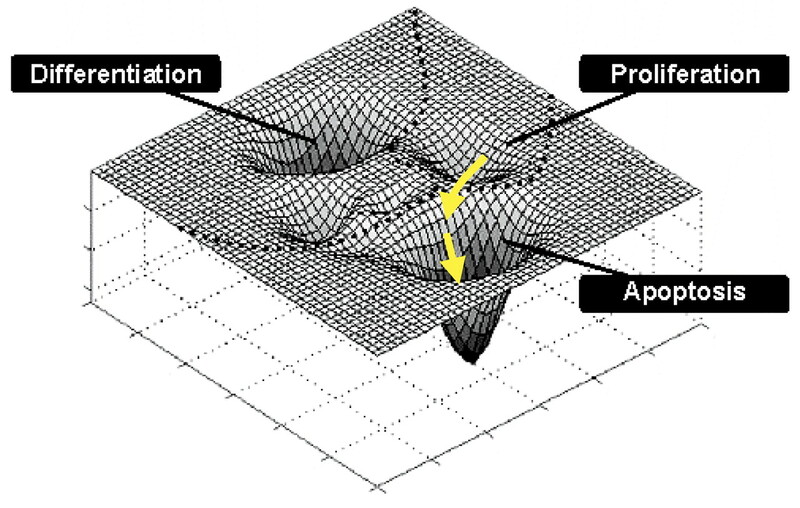 “From Gesell 1946 descriptive model of the development of prone progression we build a developmental landscape of attractor dynamics based upon principles of nonlinear dynamical systems. The landscape is created for the environmental context of a land- based surface of support, such as a floor in a house. ” You need an X-Y surface to start prone progression from while lying down. Your brain needs to orient to this surface first to sense where X-Y is located. As Hadfield placed his unsteady foot on the flat surface that his ASCR specialists supported him nearby. Chances are he would have something to grab onto to help himself steady his body swaying around as if his body had its own motion ready to slip into the risk of breaking his now fragile bones. Hadfield’s foot contact can be represented as a tensegrity joint, as can Hadfield’s knee, his pelvis his torso, his arms, his neck, his head. Hadfield like all humans has a tensegrity bone organization that needs to orient toward the gravity vector that has oriented all mammals on Earth at the present time. 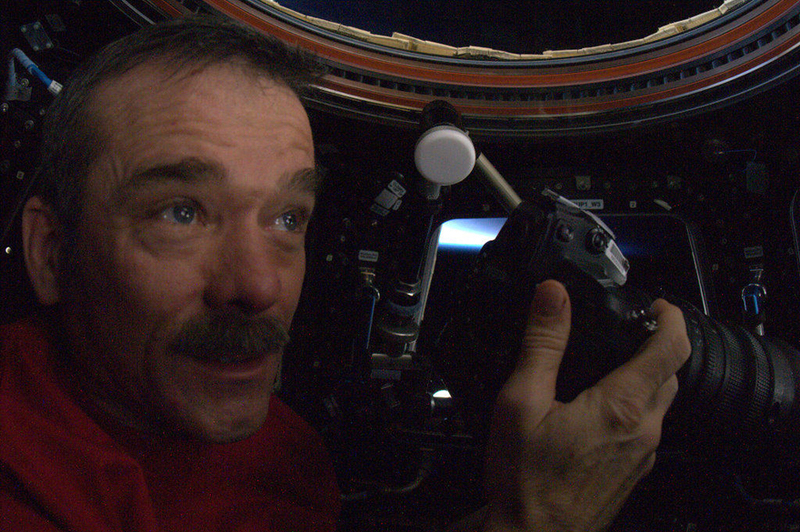 Yet Hadfield is stumbling around so unsure of his next step because his body doesn’t want to do what he wants to do. Hadfield is suffering acute anti-tensegrity vestibular dysregulation that is affecting his entire autonomic system’s balance. The landscape shape of his brain networks does not match the necessary stability the smooth equilibrium that was taken for granted as he left the grasp of gravity on his flight toward the International Space Station. The inner landscape map has to be remapped by the ASCR specialists one shaky step at a time. Until he can relearn to walk again, just like a baby does with its built-in App programmed to rise like Gesell described so intuitively back in 1946 as a maturity gradient. The rehabilitation starts with the emergence of chin up, crawling, creeping and then standing, all in relation to the component action patterns of the tensegrity moving arms and legs. The same motor sequence should be used to rehabilitate a concussed brain. The end result is the proper alignment to Earth’s gravity vector for both the astronaut and the concussed person. It’s all about shape sensing.